Threats to global health security continue to evolve due to the changing nature of conflict, advances in science and technology, globalization, and the growing threat posed by emerging infectious diseases and pandemics. Pandemics, Bioterrorism and Global Health Security: From Anthrax to Zika is a three-day, non-credit summer workshop designed to introduce participants to the challenges facing the world at the intersection of national security, public health, and the life sciences. The workshop faculty are internationally recognized experts from the government, private sector, and academia who have been extensively involved with research and policy-making on public health, biodefense, and national security issues. 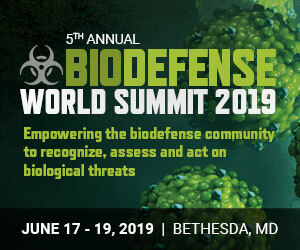 The workshop is organized by the Biodefense Graduate Program at the Schar School of Policy and Government and will be held at the Schar School’s campus in Arlington, Virginia on July 15-18, 2019. Jens H. Kuhn, MD, PhD, PhD, MS, is a Research Leader at Battelle Memorial Institute, Columbus, OH, USA, tasked as the Virology Lead (Contractor) at NIH/NIAID/DCR’s Biosafety Level 4 facility, the Integrated Research Facility at Fort Detrick (IRF-Frederick) in Frederick, MD, USA. Dr. Kuhn specializes in highly virulent viral human and animal pathogens. He is the author of “Filoviruses: A Compendium of 40 Years of Epidemiological, Clinical, and Laboratory Studies” (Vienna: Springer, 2008) and co-author of “The Soviet Biological Weapons Program—A History” (Cambridge: Harvard University Press, 2012), and has studied and worked in Germany, Italy, Malta, Russia, South Africa, and South Korea. In the US, he rotated through or worked at Harvard Medical School, Boston, MA; the Arthropod-borne Infectious Disease Laboratory (AIDL) in Fort Collins, CO; the Centers for Disease Control and Prevention (CDC) in Atlanta, GA; and the US Army Medical Research Institute of Infectious Diseases (USAMRIID) in Frederick, MD. Dr. Kuhn was the first western scientist with permission to work in a former Soviet biological warfare facility, SRCVB “Vektor” in Siberia, Russia, within the US Department of Defense’s Cooperative Threat Reduction (CTR) Program. Dr. Kuhn was a contributor to the Center for International and Security Studies at Maryland’s Controlling Dangerous Pathogens Project and a member of the Center for Arms Control and Nonproliferation’s CBW Scientist Working Group. He is currently a Subcommittee Chair and Member of the Executive Committee of the International Committee on Taxonomy of Viruses (ICTV), Chair of the ICTV Bunyavirales and Filoviridae Study Groups, and a member of the ICTV Arenaviridae, Bornaviridae, Nairoviridae, and Nyamiviridae Study Groups. He furthermore serves as a Subject Matter Expert for NCBI for all mononegaviruses as a member of the NCBI Genome Annotation Virus Working Group and the database RefSeq. Dr. Kuhn is a member of the editorial boards of 10 journals, and has been a peer reviewer for more than 60 journals, including Cell, Cell Host & Microbe, Emerging Infectious Diseases, JAMA, The Lancet. Infectious Diseases, Nature, Nature Microbiology, Nature Protocols, PLoS Pathogens, Science, and Journal of Virology. Dr. Kuhn also was a member of the 2009-2011 US National Academy of Sciences’ Committee on “Animal Models for Assessing Countermeasures to Bioterrorism Agents”; and was part of several AAAS and US State Department bioengagement efforts in the BMENA Region, Turkey, and the NIS countries. Dr. Kuhn can be found on LinkedIn at http://www.linkedin.com/pub/jens-h-kuhn/1b/817/72 and on ResearchGate at https://www.researchgate.net/profile/Jens_Kuhn. Jamechia Hoyle, DHSc, MPH, MS, PMP is the 2017-2018 Coordinator of the Next Generation Global Health Security Leaders. 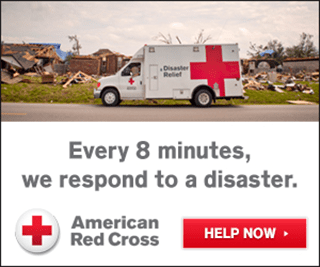 Dr. Hoyle is a Public Health Consultant and Adjunct Professor at George Mason University, Fairfax, VA. She also instructs preparedness course at the National Center for Biomedical Research and Training, Baton Rouge, LA. Dr. Hoyle has managed multiple public health program activities related to emergency preparedness and response, operational capacity, strategic thinking, response strategies, and clinical guidance for various Category A, B, and C bioterrorism agents. In addition, Dr. Hoyle has a strong background in international health, with a primary focus on project management, program evaluation, HIV/AIDS, sanitation and hygiene and clean water. Her work has taken her to Liberia, South Africa, India, Haiti, and Sri Lanka. Kendall Hoyt is an Assistant Professor at the Geisel School of Medicine at Dartmouth where she studies U.S. biodefense policy, global health policy, and biomedical R&D strategy. She is also a lecturer at the Thayer School of Engineering at Dartmouth College where she teaches courses on technology and biosecurity. She is the author of Long Shot: Vaccines for National Defense, Harvard University Press, 2012. She currently serves as an advisor to the Coalition for Epidemic Preparedness Innovations (CEPI). CEPI develops vaccines for diseases that have epidemic potential, such as Lassa, Nipah, and MERS. Kendall Hoyt received her Ph.D. in the History and Social Study of Science and Technology at the Massachusetts Institute of Technology in 2002 and was a Fellow in the International Security Program at the Belfer Center for Science and International Affairs at the Harvard Kennedy School of Government from 2002-2004. Prior to obtaining her degree, she worked in the International Security and International Affairs division of the White House Office of Science and Technology Policy, the Washington DC office of McKinsey and Company, and the Center for the Management of Innovation and Technology at the National University of Singapore.